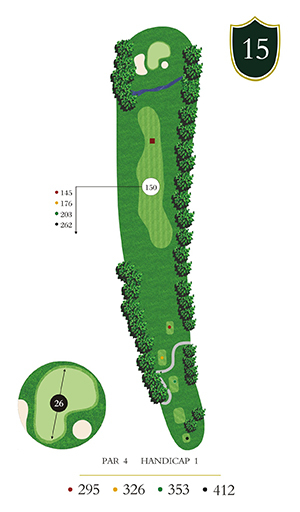 The number 1 handicap hole, this 412 yard Par 4 rewards a straight tee shot. The fairway is amply wide, but your second shot is best made from the center. 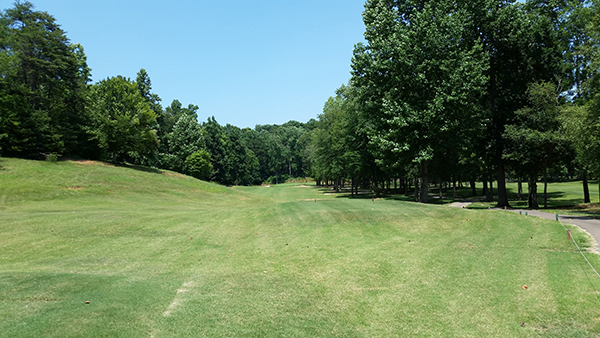 The approach shot is over a wide creek onto a large green protected by front and left side bunkers.